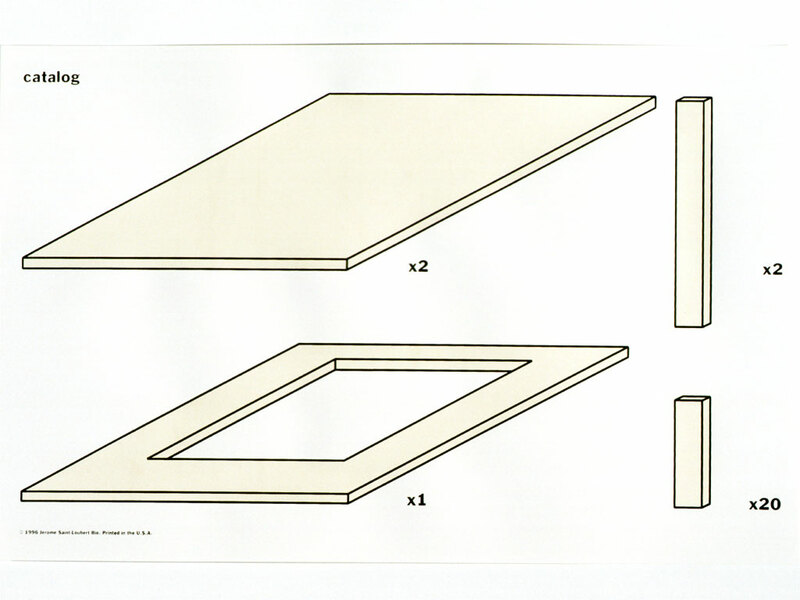 Vinyl tape, interior house paint, Formica shelf, edition of 500 silkscreen prints on paper, 28 x 43.2 cm [11 x 17 in.]. 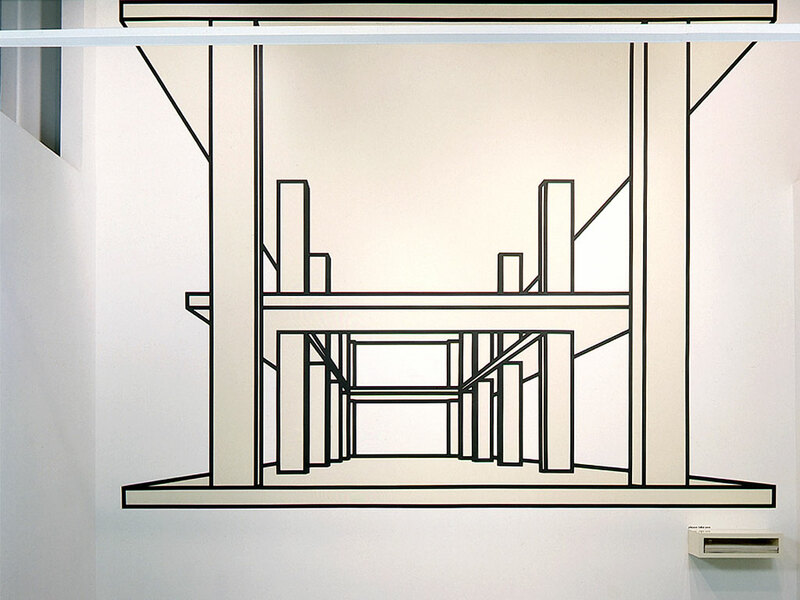 A wall drawing represents the building’s general structure in the area around the gallery (which is situated on a mezzanine). 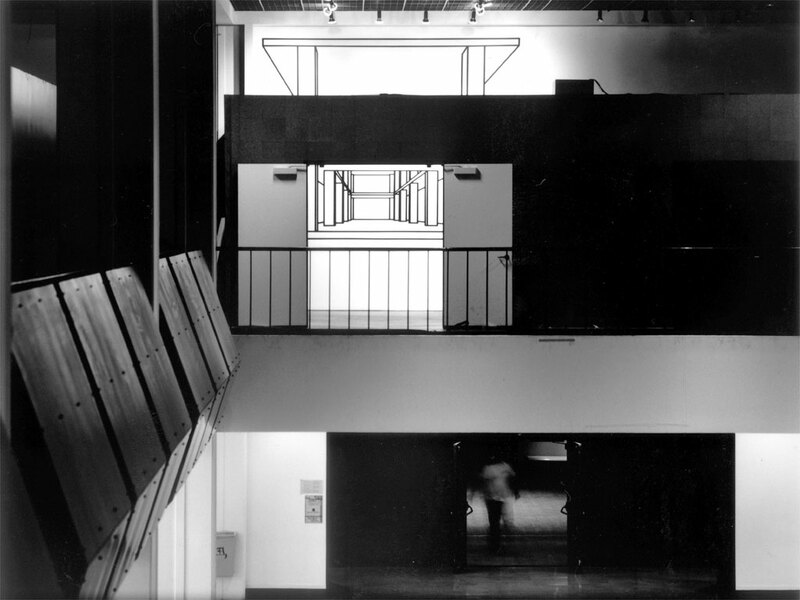 Occupying the gallery’s entire back wall, fragments of it were also visible from outside the gallery—from almost everywhere within the area represented by the drawing. 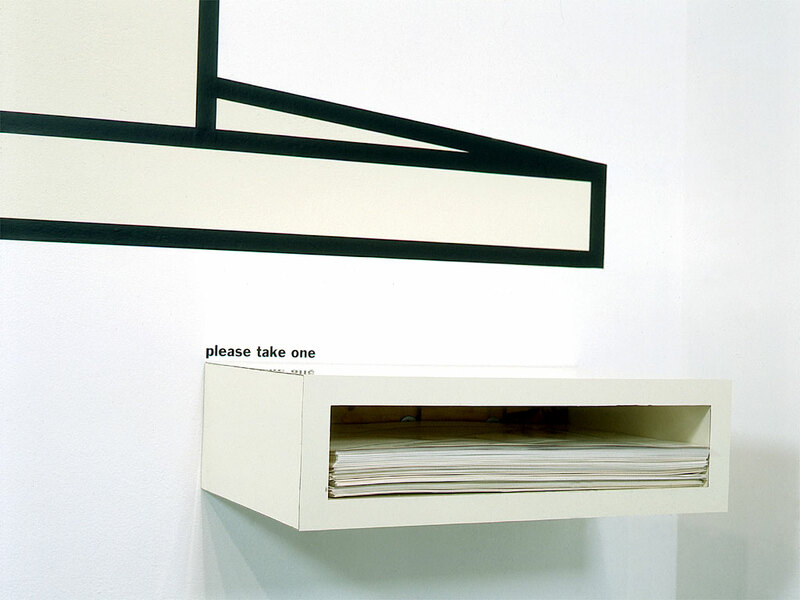 Beneath the drawing, a shelf contained an edition of silkscreen prints, which acted as a sort of catalog to the installation. 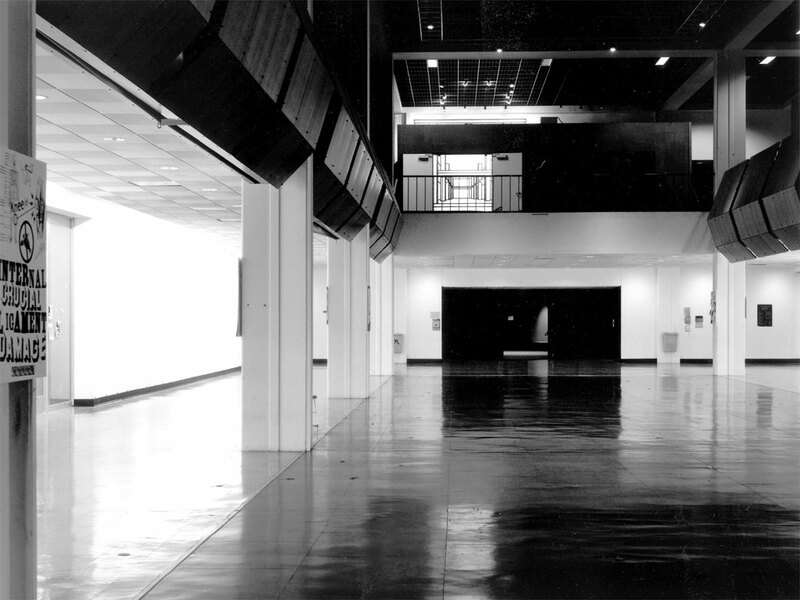 Like a furniture assembly manual, it shows the simplified elements of the building’s structure, piece by piece.